Frankly I don't remember hiking through A-Land or B-Land, let alone C-, D-, or E-Land. But today I made my way through F-Land as I left the Neuse River basin and returned briefly to the realm of the Cape Fear River. Is that what the 'F' stands for? It does seems a rather unwelcoming place, whether the 'F' stands for 'fear' or for the dreaded failing grade you tried to avoid in school, or perhaps for a completely inappropriate word for a family blog. But maybe it's just me. First impressions (the photo up top), steered my mind in such directions. 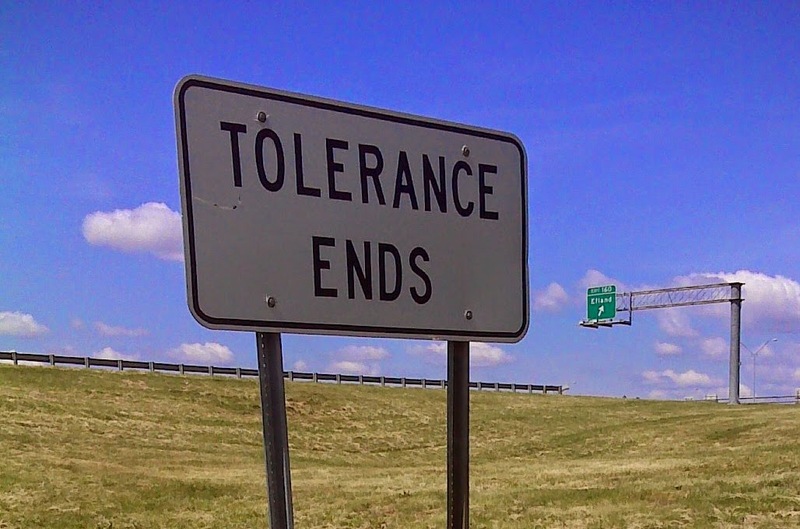 Tolerance ends when you come to F-Land? I could hardly believe my eyes. These people are harsh! But the reality was quite different. 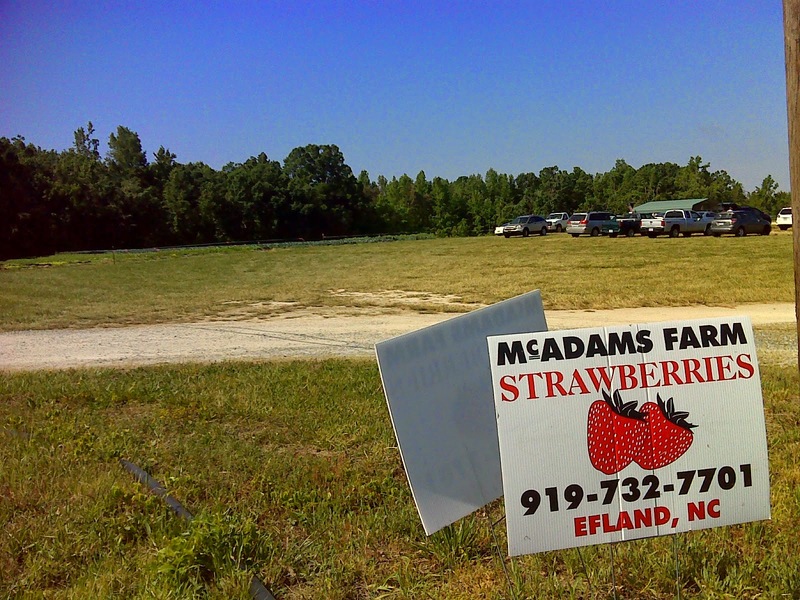 In fact, it was 'Strawberry Fields Forever', and they were ripe and ready for picking. 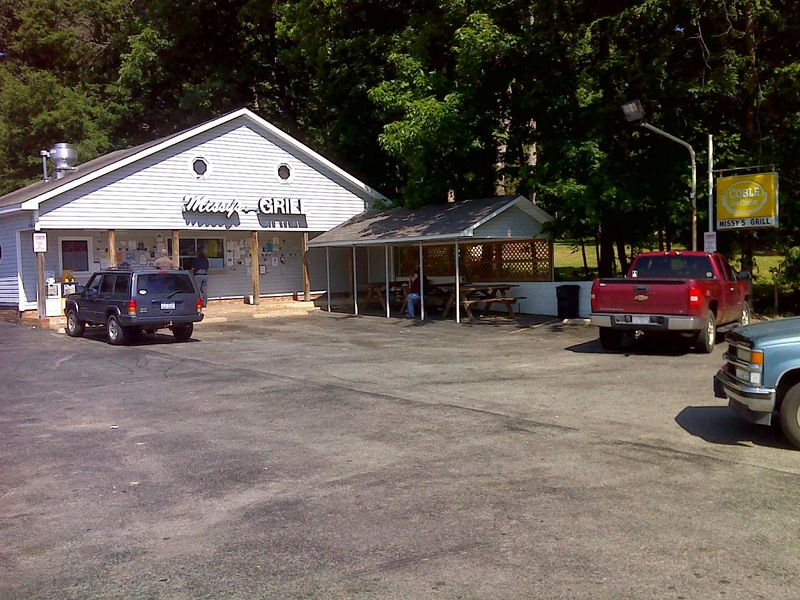 And Missy's Grill is a quaint little place near the I-85 exit that seems just right for a hiker pit stop, complete with outdoor tables under roof where the 'hiker bouquet' can be carried away on the wind. 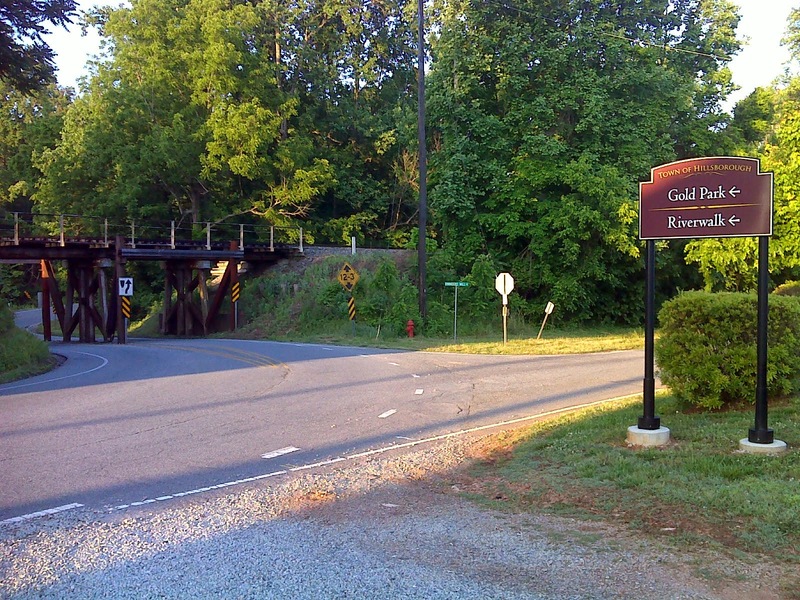 Earlier in the day I hiked through Historic Hillsborough. It seems that nearly every house along King Street has a sign identifying its name and date of construction. 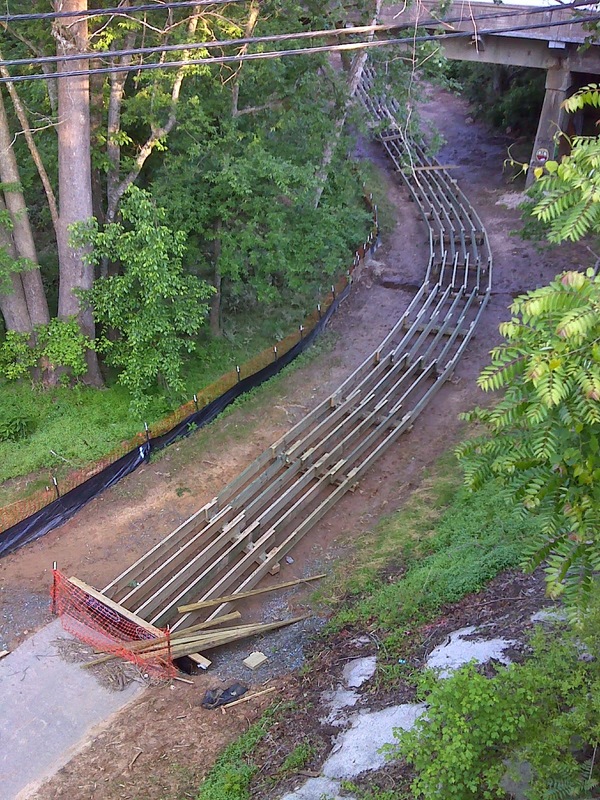 These days construction is along the Eno River. I suspect that their Riverwalk will eventually be part of the Mountains-to-Sea Trail, though none of it is at present. Here's the view of the construction as viewed from the Churton St. Bridge just south of downtown. But as I said, I had to bid a fond farewell to the Neuse River watershed, of which the Eno is a part. It's back to waters draining into the Cape Fear River again, the Haw River to be specific. Haw! We'll see what that place has to offer. Haw (as in Hee-...) sounds like an awfully southern name, but it's actually Catawban (Eastern Sioux). More in my next report.